A beautiful day full of fairy tales and wonders. • This ticket gives you access to the Efteling Park. • You purchase one ticket per person. • Children aged 3 years or under have free access to the Efteling Park and do not require a ticket. • The ticket may be used in accordance with any of the other types of ticket that you may select for your friends. 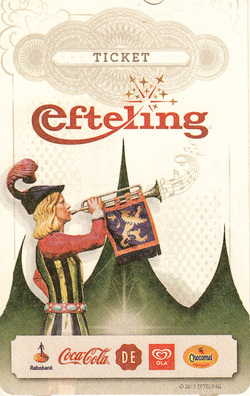 • During the Efteling’s Summer there is more live – entertainment and the park is open extra-long!